No, new author, what do you think? Do you only want to sell to Kindles? Do you realize that Kindles don’t read epub? That it’s a proprietary format? That those books can only and forever be on Kindles and Kindle products and programs? I’ll come out and say it, no, you probably won’t make much money from Smashwords. Yes, you do have to wait forever for their extra distributors to pay. And yes, Smashwords only pays you like once every six months. So why would I suggest going with Smashwords? Freedom. I only buy indie books from Smashwords. You can download in any format (usually, unless the author has severely limited the formats the book will appear in). Generally I go for the epubs. Why? They’re DRM free, and that’s awesome. That means I can put it on any device. Why, I used to read books on my DS back in the day before I got a proper ereader. Plus, say I do decide to get a Kindle. I can download the book in the .mobi format needed for the Kindle. I’ll admit that if a book isn’t on Smashwords, I skip it. There are a lot of good books put out by small publishers and self-publishers. I don’t need to work that hard to find a good book to spend my money on. Granted, I’m only one sale is a sea of sales, so that might not concern an author. There are plenty of authors who do great on Amazon. So that’s freedom for me as a reader, but what about as an author? One of my favorite aspects of Smashwords is that the site allows for me to experiment. I can generate coupons, I can post things for free, and I can even use the “reader decides the price” option, which I will probably test out for the next story or something. I was tempted to try it out for this story, and may even do that later on. In the next year, I’m going to try pushing Smashwords a little more when I go out to sell the book. I’m planning on getting tables at the local anime conventions, and one of the things I’m hoping to do is have a QR code that points to the Smashwords site while handing out coupons. I really haven’t used Smashwords much because I haven’t really been marketing. These are just my thoughts on why I love the site. Anyone else have thoughts? Hate Smashwords? Like Smashwords? Have a horrible experience with the site? One of the assumptions I run across very often about self-publishing is that you do it on your own. That is SO not true. I will fully admit that I have done nothing on my own. My friends have been with me every step of the way. It’s difficult to list all of the things they have done for me since I decided to publish and the things they’ve done for me over the years by just being there, sharing their stories and playing a game with me. They’re like a support group for people who hear voices and have wacky ideas, and I’m very blessed to have them in my life. Especially because if I didn’t, I don’t think this blurb would have gotten done and this cover wouldn’t look nearly as good! I’d like to announce the next release, The Two Brothers, the first companion novella to Ruin. Cover art by c.r. Favre. Thirty years ago, there was a Revolution. Born in the aftermath, Jimmy was the first child from a human experiment to demonstrate unnatural abilities at a very young age. In the same incident that tore his family apart, he found his salvation and surrogate father in the tribe’s leader, Henri Smith. Now Henri’s daughter from the Neutral Territory has arrived in the Southlands, stirring up memories of a girl Jimmy once worked to protect– memories tied to another child of Henri’s whose arrival precipitated an event that would define his adult life. 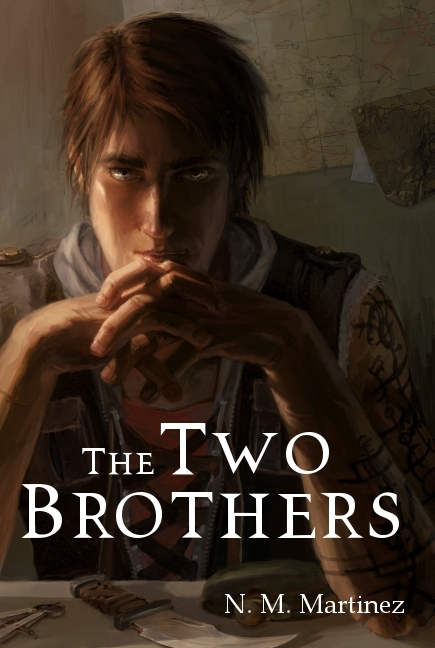 The Two Brothers is the second story released in the Ruin series, a web of interconnected stories where the lives of the people are as important as the world they live in. This book will sell for 99 cents starting December 20th and will only be available as an ebook– for now. How easy it is to do a sale by changing the price? I had already hypothesized the answer to this one, and I was right. Not very. I don’t think that changing the price is a good way to go unless you’re going to leave it this way for a very long time. The issue is that it takes a while for distributers through Smashwords to update their prices. In the mean time, even though the prices have been raised elsewhere, like on Barnes and Nobel, Amazon will still be price matching the other distributers (but not Smashwords). I think it is much better to offer coupons through Smashwords. (This is just my opinion.) For one, Smashwords lets you see stats like how many people visit your book page. This does sound a little obsessive, and I hate what I’m going to say next, but it is something I think about. You can sort of guess, using these stats, if some action of yours is having a direct effect. Are people looking? Are you reaching anyone? Are they downloading samples? This is stuff I do think about in the back of my mind, especially now while the numbers are low and I can easily compare spikes in the data to any effort on my part. Does a low price for a very limited time lead to more sales? I had a lot of people interested in the first giveaway, so I thought I would try to encourage any of those people I could with the sale. I made it a clear after giveaway sale, mentioned it on Goodreads, and put text mentioning the length of the sale in the book’s description and on the website. I did get a few more sales than normal, and since it is still .99, I find I’m still getting sales. But I can’t be sure that’s because of the price point. Any number of things could have happened. In the end, my sales are actually too small to acurately get any data. At $2.99, I’m getting close to $2 per ebook sold. Doesn’t that seem fair in a non-greedy sort of way for a newcomer? But at .99, I only get .35. That doesn’t look poor enough, let me type that out. I only get thirty-five cents. I know that there are authors who make a living off of .99 cent books. I’m not here to judge. Everyone has a different spot they’re comfortable at. It’s just that .99 is not for me unless I’ve purposefully written something out that is meant to be short and cheap– like the next story coming up. I’m going to sell it for .99 cents, not because I think it’s bad, but because I think that is a worthy price point for it. The story will be short and able to be read in a day, but that doesn’t mean that it won’t be a good one worthy of that dollar. A limited time sale is awesome. I have picked up books I’ve loved at .99 and discovered some new authors that way. But I feel it is also important to note that if I’ve already discovered an author I know I like (as in one whose stuff I have read before and loved), a sale will actually discourage me from purchasing and I’ll wait until the book is back at its regular price. So I guess I won’t ever say that I’ll never try this again. I have the next few releases in this series planned with other ideas emerging for future books and stories. Plus I have stuff in my head that has nothing to do with the series I’m working on now. Anything is possible. I’m all about experimenting. As I’ve been working on the story, it occurred to me that there are stages to editing that seem to occur every time I start this entire process. So for your entertainment, I present to you my stages of editing. Note: Be careful writing email responses in this stage. Note: I wonder if this is where people just flat out stop? At this point, writing and fun no longer co-exist. There’s nothing but a huge gaping hole where the ego used to be. It’s very lonely at this stage. Note: I think this is where writers fails at failing. It must get fixed– if possible. And in that crazy writer’s brain filled with voices and images of another world, it totally is possible. To everyone out there editing a story, hats off to you! Know you’re not alone. Also, have I mentioned that Great Minds Think Aloud is having a giveaway? Yes? Well, I’m mentioning it again. Enter using this contest form. Lots of free books to be had. There are other book giveaways going on as well, so be sure to check it out. I have a clear vision of what I want to do and what I mean to do with my stories. My idea is different from almost anything I’ve seen or read– at least book-wise. I think the only thing that comes close are the various anime and manga stories called A.D. Police which is connected to Bubblegum Crisis. Even that’s not exactly what I’m doing here, but it’s pretty close. This is why I chose to self-publish– because the idea behind this “series” of stories crossing-over, yet standing on their own, is sort of a strange one. There are a lot of complex character relationships and these relationships spread out into other stories. There are events which are out of order. Some events you may learn the outcome of before you read about the actual event. My hope is that I can make an engaging story that stands on its own and hints at more in other stories. 1. Respect the opinion. If someone is nice enough to share their thoughts, I listen. I’m terrified to hear it, but another view is always helpful. 3. I’m not perfect. This is something I’ve come to accept in recent years. In school, I’ll admit I was used to being one of the best, but the bar was set pretty low. All you had to do was show up, be the weird quiet girl, and everyone pretty much assumed you were smart. But now I’m having to actually work, and it’s really difficult. Plus, I’m lazy. I feel like I should add a final thought here. Something wise and insightful about how you have to trust yourself and your vision and also trust the people whose opinions you’re asking for. Also, if you do set the house on fire, own it. All right, I’ll say it– I am awesome. 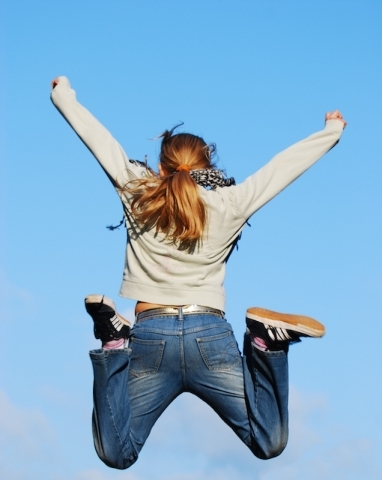 Amy Rose Davis has this wonderful post on confidence. I love that she looks within her family to try to understand the issue. Because when it comes down to it, I do think it is partially a personality thing. Like my niece. The girl has the most shining personality that just draws people to her. She’s beautiful, but I always make a point of telling her that her beauty is so much deeper than her skin. She never judges people or talks bad about them. She also seems to have an innate sense that she is awesome without ever having to say it. Confidence is a strange and slippery thing. It’s important and at the same time it can be dangerous. Too much and it’s a turn off, too little and you get run over by anyone willing to take advantage of you. Overall, I think confidence is necessary in anything you do. 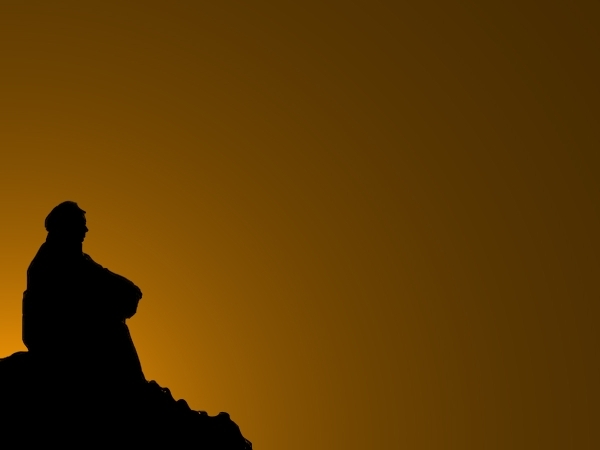 If you aren’t feeling confident about something, then it’s a good idea to figure out why. Is it just you or is it what you’re doing? I started out this post by saying that I’m awesome. Today, I really believe that. I wish I could explain how that comes to be. It’s sort of always been that way with me and also not always been that way. I suffered through a strong lack of self-esteem for a large part of my life, and yet I still can write this post. At some point, my gut just takes over, like it has a mind of its own. When I hit on something I feel is the right path for me, I know it, and I hold on and don’t let go even when the doubts hit and I start to wonder what the hell I’m doing. That’s happened to me already with this first book. Sometimes I’m scared to look at it, but I’ve also said that I read through it and found it to be exactly what it needed to be. So I just continue pushing forward, doing what comes next, letting my gut lead me. So here’s my secret: I really have no clue what I’m doing. I have no credentials, no writing degrees or business degrees, no real business experience (unless you count working on the sales floor which I kinda do), no publishing experience, no attempts at publishing. What have I got? I started a blog and shared stories and got a small readership and some great friends. So what makes me think I can do this?